The ABBE Refractomer provides a quick and easy means for determining the refractive index ND and mean dispersion nF-nC of liquids (transparent/translucent) and solids, mainly the transparent liquids. 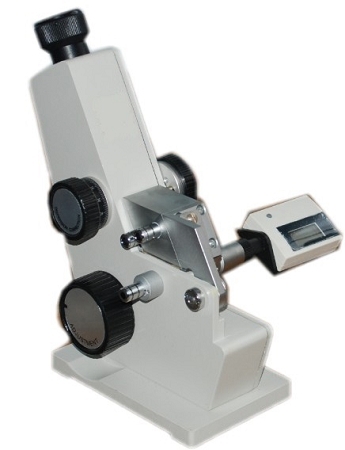 Connected with a constant-temperature bath, it can measure the refractive index ND within the temperature 0-70 degree. It can also measure the Brix percentage of sugar solution. The refractometer is equipped with hose connections at the prism unit for the thermostatisation of the optical parts. The temperature is measured with a digital thermometer.